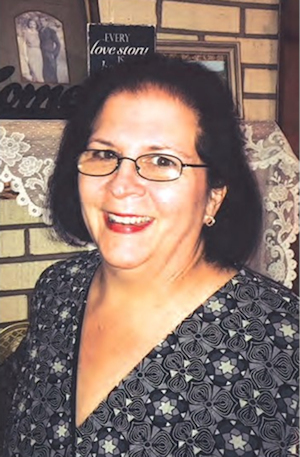 Obituary – Beier, Sharlott Sue (Klingaman) « Perry High School Alumni Association, Inc.
Sharlott Sue Klingaman-Beier, 52, earned her wings into her Heavenly home on Tuesday, July 24, surrounded by her loving family and friends. Sharlott was born January 5, 1966 to Glen ‘Dean’ Klingaman and Janet ‘Sue’ (Roberts) Klingaman. She was the Noble County New Year’s baby at Perry Memorial Hospital, 1966. She was baptized and was a member of Perry First Christian Church. Even as a small child, Sharlott loved music and singing with her family as they traveled in the car. She was a natural at harmony. Later, she loved singing karaoke at family gatherings. If you stopped by her house, you might have had a sing along on the patio or front porch. Sharlott attended Perry schools, kindergarten through her senior year, except for the sixth grade where she attended Stillwater schools. She graduated Perry High School in 1984. Sharlott always worked, even in high school. When she was a single mother, she never failed to provide for her two children. Sometimes family and friends helped her out, but she always paid back in so many ways. She truly saw the good in everyone, and she gained so many friends in doing so. Friends called on her, even after she became ill, and she loved every single minute of it. Sharlott married Gary Davis in 1991, and together they raised Jessica, Rayden, and later, their grandson Calob. She was always helping with arts and crafts with her kids and her grandkids. She loved scrapbooking, and was always willing to help with invitations and cards to send out for special events. Her absolute favorite thing was Christmas, all year round. Sharlott married her husband, Randall (Randy) Beier on November 5, 2016, where she adorned a red gown that she absolutely loved. Sharlott and Randy had known each other since grade school, and after going separate directions, their paths crossed again. Though they only had a few short years together, Sharlott was happy to call Randy hers. She is survived by her mother, Janet ‘Sue’ (Roberts) Klingaman, of Mulhall; brother Robert Klingaman and wife Schloe, of Ponca City; brother Scott Klingaman and wife Tracie, of Perry; husband Randy Beier, of Perry; daughter Jessica Terrel and husband Edward, of Perry; son Rayden Webb and fiancée Kaitlyn McClay, of Norman; step-son Joe Davis, of Perry; step-daughter Amy Coomer and her husband Michael, of Stillwater; step-son Travis Beier and fiancée Dusti Nichols, of Morrison; step-daughter Lexi Beier and girlfriend Drew Mcanally, of Oklahoma City; grandchildren Calob, Hunter, Lance, Kaitlyn, Casey, Tayte, Ellie, Lily Sue, Kaden, William, David, and Scout all of Perry; Kaedyn and Hattie of Norman; Maci of Morrison; Mikey and Ashley, of Stillwater. She is preceded in death by her father, Glen ‘Dean’ Klingaman; Paternal grandparents Kenneth and Mildred (Ruck) Klingaman and maternal grandparents Jessie and Bonnie (Koch) Roberts. The family would like to give a special thanks to Karmen Legacy Hospice, and to all the family and friends that made Sharlott’s last days so very special. Donations can be made in Sharlott’s name to the First Christian Church Memorial Fund. Funeral Services have been entrusted to the care of Dighton-Marler Funeral Home of Perry. Public viewing will be held from 9 a.m. to 5 p.m. Thursday, July 26, at Dighton~Marler Funeral Home in Perry. The family will then greet guests at the First Christian Church from 6:00PM to 8:00 PM Thursday evening. Services will be at 2 p.m. Friday, July 27, 2018 at First Christian Church in Perry. Interment will follow at Grace Hill Cemetery in Perry.